Most of us are willing and want nice smooth skin. For achieving that, proper care is necessary. Out there are many cosmetic products like day and night creams that guarantee whitening effect on the skin, but that does not happen often. Body parts like hands and feet are one most exposed to UV-rays and other environmental pollution. Due to this the skin gets damaged easier at much faster rate. If it happens you to have more melanin, these body parts will be darker in tone and in order to prevent uneven darkening we give you an all-natural recipe that will brighten you skin tone. The recipe’s key ingredient is the lemon which is rich in vitamin C and packed with antioxidants. That’s why lemons are great to lighten the skin tone and stimulate new cell development. The ingredients amount that should be used depends on you how much you need. Now, mix all he above ingredients until you get a nice creamy paste and your recipe is ready. 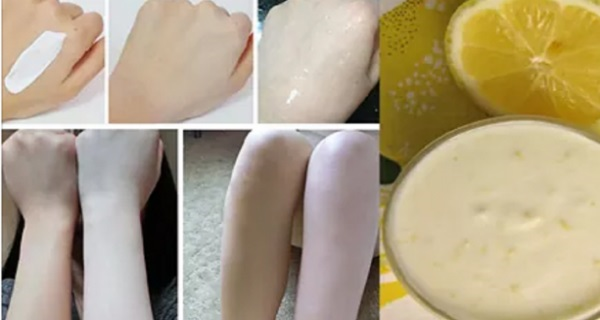 Take the mix and apply it on your skin (hands and feet) and let it stay for 20 minutes. After 20 min wash with water. This method needs to be done for a period of 15 days in order to see evident results. If you wish take a picture of your skin (hands and feet) every day continuously to see the difference at the end. Also you can make a similar paste by mixing lemon and cucumber juice with a pinch of turmeric, the rest is the same. Make sure you avoid sunlight for a few hours, prior applying the remedy or you will get adverse effects.